The Advertising Standards Authority has ruled against the claims made in ads produced to promote Volvo’s retroreflective "LifePaint". The ads cannot be shown again, said the ASA. LifePaint – billed as "victim blaming" by some cycle advocates – was developed with Swedish start-up Albedo100 and was initially distributed via bike shops on a trial basis. It was released commercially in October 2015. A Volvo ad for the product remained online for almost two years until the Advertising Standards Authority received two complaints, prompting the investigation. 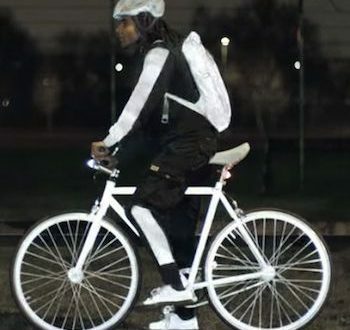 One of the complainants, spoken to by BikeBiz, claimed the ad was misleading because it showed the spray being applied to a bicycle frame, which glowed just as brightly as the clothing, bag and cycle helmet it was also sprayed onto. The complainant told BikeBiz: "There have been instances where Volvo’s dealer network has encouraged schools to show the video. Pupils viewing the film have not been given the explanatory text and have been given a false impression of the product and the brand behind it." A disclaimer underneath the video on Volvo’s website admitted the effect had been achieved with a different, oil-based product designed for metal surfaces but the ASA ruled that this was not sufficiently prominent to have been noticed by consumers. Volvo offered to reword the disclaimer to make it clearer that the paint was primarily designed for dry textiles and fibrous materials and add the altered disclaimer to ad but the ASA dismissed this. The advert first aired in March 2015. It won the top prize in that year’s Design and Promotion & Activation Lions at Cannes. The ASA said it "considered that the average consumer would expect LifePaint to be able to produce a similar effect to that seen in the ads. 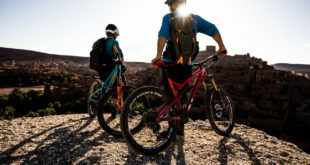 The video gave equal prominence to the frames of the bicycles as it did to the clothing of the riders, and showed the product being sprayed on a bike frame, so we considered consumers would expect the product to work on both surface types." The ruling added "we did not consider that the disclaimer was sufficiently prominent because it was presented separately from the video, further down the page. However, even if the disclaimer had been presented with the video, we considered that the video itself was still misleading because we considered the prominence it gave to bicycle frames being sprayed with and covered in reflective paint suggested that the product would work equally on both surface types." The ASA concluded that the "ad exaggerated the performance of LifePaint and was misleading and that "the ad must not appear again in its current form." "The purpose of the campaign was not to sell Volvo Life Paint as an end in itself. 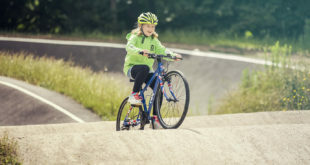 Instead the campaign had the primary aim of putting the Volvo brand in the public eye and to create the impression that the company was concerned with road safety and cycling safety specifically. The campaign was designed to draw attention to Volvo’s new XC90 car, which is built with added safety features. "There may have been a secondary aim of putting a message to the public that the solution to cycling safety is for people to coat themselves and their bikes with reflectives, to “take responsibility” in order to reduce the political impetus towards restrictions on the users of Volvo Cars i.e. reduction in the speed that they can drive at and in the amount of road space available to them. 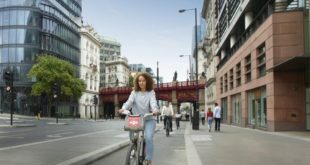 The campaign was launched at a time when both in London and nationally there was a move towards addressing cycle safety by making changes to streets and reducing the amount of motor traffic available to private cars." The ASA did not rule on the "bikelash" elements of the campaign.